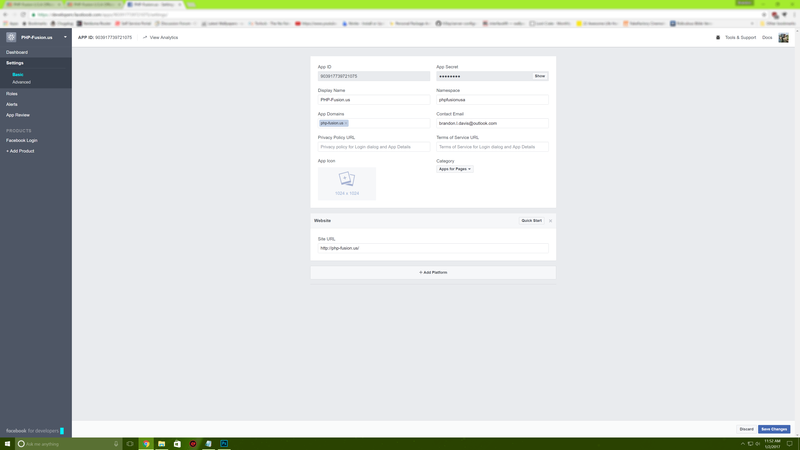 I have downloaded from here Facebook Connect 2.3.7 to integrate them on my website. I watched the video with the description several times but I can not find the error why it did not work for me. However, I have a problem now. The user field that is here is not labeled, how can I modify that? I Do no exactly know what you are meaning. Wich locale file are you using? Mabey a missing line in the locale file. Ich verwende die locale Datei die beim Paket mit vorhanden ist, ich habe an dem Paket weiter keine ?nderung vorgenommen. According to your answer in German, I think you are using the German locale on your website. In the download pack there is no German translation available for the userfield. Adapt the file to your needs. Within your developer.facebook.com account app, ensure your domain is set up properly.